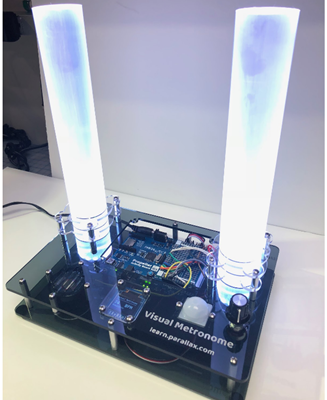 If you want to re-create the enclosure we used for our Visual Metronome, this download contains the .dxf design file for our acrylic parts. All enclosure assembly hardware must be purchased separately online or through your local hardware store. You will need a CAD program capable of opening this file type to use this design file. This download is an optional accompanyment to the Visual Metronome BlocklyProp project.